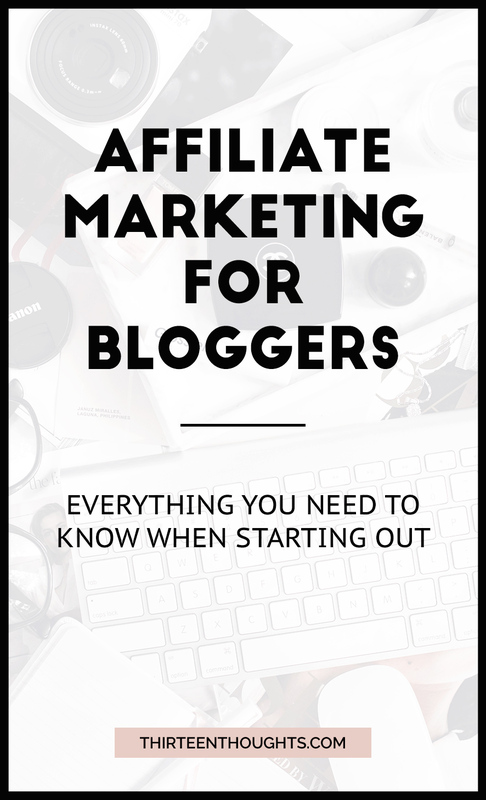 Affiliate marketing for bloggers: everything you need to know when starting out. One of the most frequent questions I get asked by new bloggers is: how do I monetize my blog? Most of the time, people assume that display ads are the way to go, but the truth is that unless you get a ton of traffic, you won’t make a whole lot of money. If you’re just starting out, I’d stay away from ads. With small traffic, you’ll end up making a few bucks a month. With most popular networks, like Google AdSense, there is a $100.00 payment threshold, meaning you cannot get paid until you make $100.00 dollars. When you’re a new blogger, this can take months. Now, with affiliate marketing, you can make anywhere between a few dollars to a couple of hundred dollars PER SALE. The cool thing about affiliate marketing is that you can start making money from day one. It’s an easy way to make money with your blog without having to create (and sell) your own product. To put it in very simple terms, it’s basically earning a commission from a sale. You get to introduce your readers/audience to a service or a product you like and make a profit. Another thing that I love about affiliate marketing is that it’s easy. Figuring out + researching programs you might want to join can take some time. Once you get that out of the way though, the rest is as simple as copying and pasting a link within your blog post. When it comes to affiliate marketing for bloggers, one of the most important things (key to your success) is to always (and only) promote products and services that you yourself use and love. You also don’t have to blog about “blogging” in order to make money with your blog. It doesn’t matter if you’re running a parenting blog, a food blog or a beauty blog- the opportunities are endless. All it takes is some research and putting in the work, and you can easily turn your blog into a passive-income machine. If you’re new to blogging, your audience might be small, and you might have to spend some time building that trust first. It’s all good though because the payoff will be great. Think of your long-term success, instead of focusing on immediate results. As I just mentioned, you do have to put in some work. A lot of people start a blog and get easily frustrated and discouraged when they don’t get results right away. Building your blog and audience takes some time and you can’t expect to get results if you don’t put in the work. This is why I always tell new bloggers to focus on things and topics they’re truly passionate about. It’s the only way to make sure that you won’t grow tired and bored, and end up feeling like blogging is a chore, eventually abandoning it. Yes, it takes effort, but when you write about things you enjoy you’ll also have fun along the way. … people who visit and read your blog are just that: real people. I see many popular and successful bloggers promote crappy services (like Bluehost, ugh) and make a killing doing so. To some extent, you might think “well… who can blame them?” AND, to be completely honest, I also promoted a crappy hosting company for a few months, but that was because I myself have used it at the time. The minute I started having trouble with them and my blog ended up going down for a few (sleepless) days, I decided to switch and immediately updated all posts mentioning that host. It was HostGator for those wondering and I talked about the whole thing in this post. The point is, you have to remember that people who click on those affiliate links, people who make purchases through them, have put some trust in you. This is why when it comes to affiliate marketing for bloggers, it’s so important to only promote services and products you can vouch for. You have to remember the same thing when actually writing and talking about those products, too. Don’t just write “omg I love this book, sooo good, buy it here *inserts link*” No. You are talking to real people, talk to them the way you’d talk to a friend. Tell them why you love that particular product or service. One of the most important things to also remember is disclosing your relationship with the merchant. Focus on your evergreen content. Evergreen content acts as a foundation for your blog. It’s content that will always be relevant and continues to drive traffic to your blog years after it’s been published (to learn more about creating evergreen content for your blog see this post). Implementing affiliate links/banners into those evergreen blog posts is one of the easiest ways of creating a passive income. You will make money even without being actively involved, although it is a good idea to update those evergreen pieces once in a while. The best way to get the most from your affiliate marketing is to provide your audience with value- tons and tons of value. Before you start making money, you first have to give out a lot of useful information, for free. If you think you can’t provide your audience with value, think again my friend. I don’t care what you do for a living, where you come from or what you’re blogging about. I guarantee that you can teach me (and your audience) something new. We all have different skills, strengths, and abilities. Whether it’s stretching that 50 dollars to prep a week-worth of meals, creating a beautiful makeup look on a budget or packing a hospital bag and preparing for childbirth. Use your own experiences, share your tips and create helpful posts. Focus on your strengths. Talk about things and products you found helpful, then include affiliate links in your blog posts. It also helps to create content upgrades to your blog posts, such as a checklist or a worksheet. This will not only add even more value to your articles, but it will also help you grow your email list. PS. If you’re new to blogging, check out my free How to Start a Blog email course. Even if you already have a blog, you might find some useful information on getting your new blog off the ground and monetizing it. When I say that there are countless programs to join out there, I mean it. Of course, the more specific your niche is, the better chances you have of earning a decent income. This is simply because those very topic-specific areas tend to be less saturated. BUT, the point is that there is something out there for everyone. The easiest way to make a good income with affiliate marketing is to focus on high-paying programs. That is not to say that you can’t make money with programs like Amazon Associates. Their commission might be small- when I first signed up for the program it took me months to earn my first $10, but earlier this year I made nearly $900 in one month, just from that program alone! With that being said, if you’re still working on growing your audience, it only makes sense to focus on high-paying programs which offer a fixed per-sale amount. Amazon Associates– I pretty much live on amazon.com and, of course, I’m also a Prime member and personally use a lot of their products like Kindle, FireStick or Echo. BUT it’s also where I buy a lot of beauty products (Amazon Pantry, hello!) and it’s where most of my photography equipment came from. Amazon Associates is easy to use and understand + linking to products is a breeze and it’s also a trusted brand that everyone recognizes and uses. Creative Market– A great online marketplace to shop for things like graphics, fonts, and various templates (business cards, blog themes, etc.). You can earn up to a 10% commission with Creative Market, and they also make it very easy to share affiliate links for products you love, straight to Pinterest. ShareASale– This is another affiliate program I use and love. Once you sign up, you can search for merchants and/or products and apply for programs you’re interested in. They have merchants from pretty much every niche and you can apply to refer brands like Wayfair, ModCloth, Beautylish. Each brand/merchant pays different commission- Beautylish, for example, pays 10% per sale, some merchants pay a fixed amount per sale where you can make as much as $100 per each sale. Once you sign up for the program, you can search for a specific brand that fits your niche, for which you want to become an affiliate. 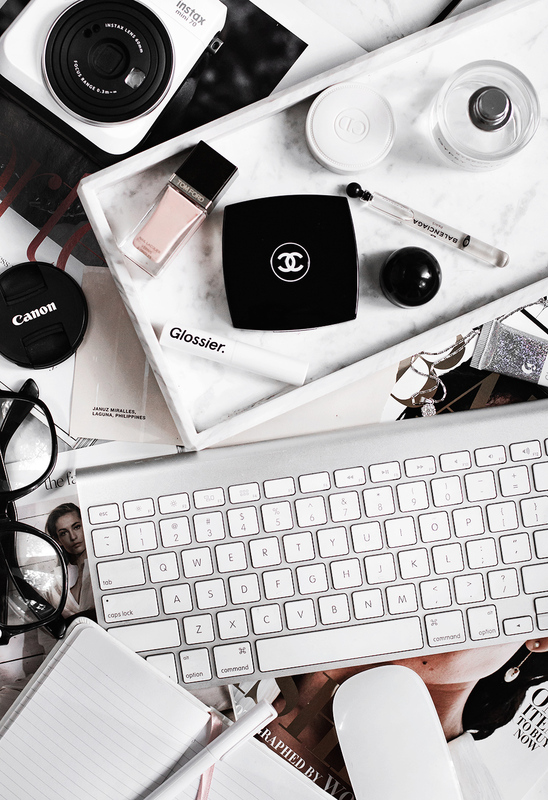 ShopStyle– This program is widely used by fashion bloggers but I use it mainly for my beauty-related posts. I’d probably use it even if it weren’t an affiliate network as I love the ease of searching for a product and copying a direct link and creating widgets that I insert to my posts. Again, if you’re not getting tons of clicks, this might not be the best option for you and you might want to focus on linking to individual merchants from programs like ShareASale or Awin when linking to a specific product since those will help you earn more. Ebates– Ebates is a service built on affiliate marketing and they also have an affiliate program for publishers (like bloggers) where you can earn $5.00 for each first-time buyer you send over to Ebates. Awin– another affiliate program with a great selection of merchants from pretty much every niche you can think of; airlines, clothing stores, pet supply stores, beauty stores, Etsy, etc. This one actually costs $5.00 to join, but you quickly make that back once you begin to use the affiliate program. ConvertKit– the email marketing program that changed everything for me. I’ve used a few different ones, and nothing compares to ConvertKit. Their affiliate program pays a 30% commission each month for everyone you refer. This means that if someone signs up using your link, you’ll earn 30% of the value of that account, every month. As that referred account grows and gets more subscribers, so does your affiliate income. So, if you refer an account with over 5,000 subscribers worth $99, you’ll end up earning $30 every month. There are many ways in which you can promote your affiliate links. You can now do it on Pinterest, which is pretty cool since they previously banned the use of affiliate links- you can also promote them in your newsletter emails (not all programs allow this, so read the fine print) or Instagram. Personally, my favorite way to implement affiliate links is… well, through blogging. This allows you to really share your own experience, answer any questions people might have about a product, etc. Of course, if you’ve been reading this blog for a while, you already know how much I love Pinterest. Once again, I need to mention it here, because it’s an awesome platform where you can promote your blog posts, simply by putting it on autopilot. There are dozens of blog posts I’ve published years ago, which continue to generate affiliate sales, all thanks to Pinterest. To start with affiliate marketing you first need a place to promote the products + services you love. 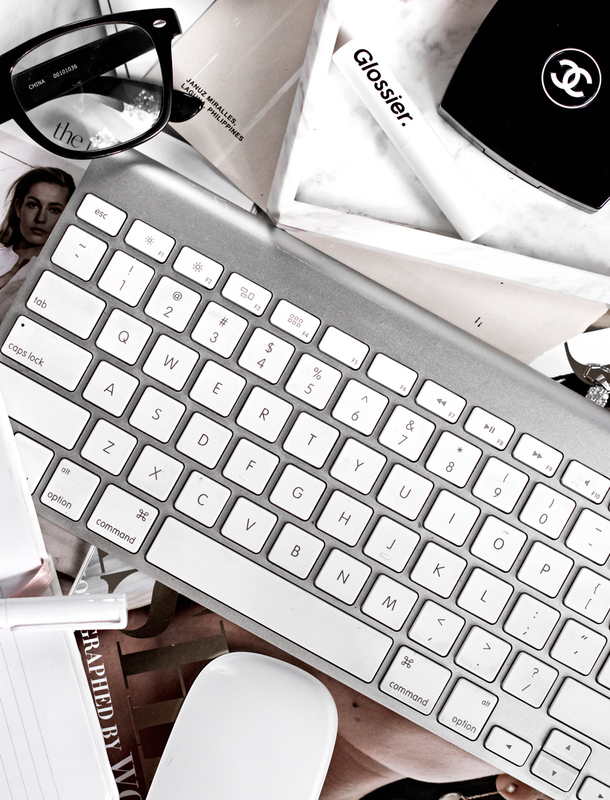 If you don’t yet have a blog, you can take my free 7-Day Email Course: How to Start a Blog. In this course I will walk you through starting your blog, creating a foundation, building an audience and making an income. When joining affiliate programs, remember to only join programs that are relevant to your niche. Do your research. Don’t try to join a bunch of different affiliate programs, without first doing your own research. If you already have a blog and an audience but have yet to explore affiliate marketing, go through your old blog posts. Make a list of products you often mention on your blog and which you can recommend to your readers. Then, search for best-paying affiliate programs through which you can promote those products. Be prepared to do some work. If you simply put a banner on your blog linking to a product or merchant, don’t expect to make any money. Don’t just tell your readers “buy this!” Tell a story, give value, give some more value, and THEN talk about a product or service you want to promote. Remember: your audience consists of “real” people. People who are often willing to spend their hard-earned money on something you mention on your blog. Build trust and don’t promote things you haven’t used/tried and loved. Honesty is the best policy here. Even when a high payout rate can be tempting, the money you make is never worth the trust you risk losing when promoting a crappy product or service. Always disclose your relationship with a merchant whose products you promote. Follow FTC guidelines and make sure that your readers are aware your posts include referral/affiliate links. Include a short disclosure on the top of your page/blog post and include a link to your disclosure policy. Read the fine print. A lot of affiliate programs and merchants have their own set of terms, rules, and conditions (Amazon Associates, for example, requires that you add specific language when disclosing your relationship with them). Make sure to follow those rules. When it comes to affiliate marketing for bloggers, or monetizing your blog in general, you should really work on diversifying your income. You don’t want to depend on just one source of monetization. If you only implement one affiliate program, master it and earn money from it, what happens when that program suddenly shuts down or decides to lower their commission? You lose the income you’ve been depending on. There is one more thing about affiliate marketing for bloggers that I think is highly beneficial. Learning all about it prepares you for eventually creating, marketing and selling your own digital product- we’ll talk more about this at a later time.